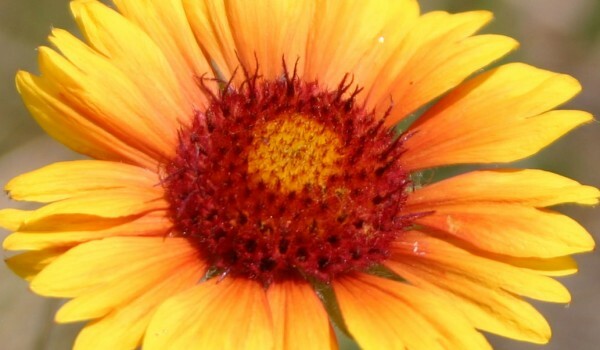 Gaillardia was named for Gaillard de Marentonneau, an 18th century French botanist. Its flowers are not scented, but attract summer pollinators such as butterflies, bees, and beetles that use it for food, rest, and shelter. 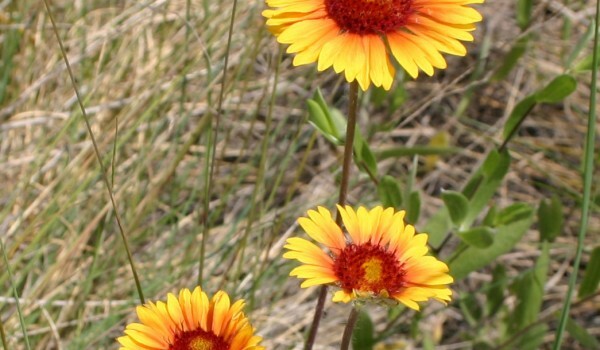 This plant has also been used for disturbed site rehabilitation and to produce wildflower sod for native plant restoration. Its tolerance to drought and attractive yellow and purple flowers make a good addition to any prairie garden. Not rare. Listed as “exotic” in Ontario, Quebec, and Yukon. This hairy perennial has one to several, sometimes branching stems that grow to 70 cm tall. 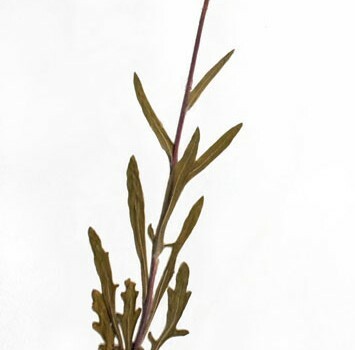 Its alternate, hairy leaves are lance to spatula-shaped with smooth or coarsely-lobed edges. 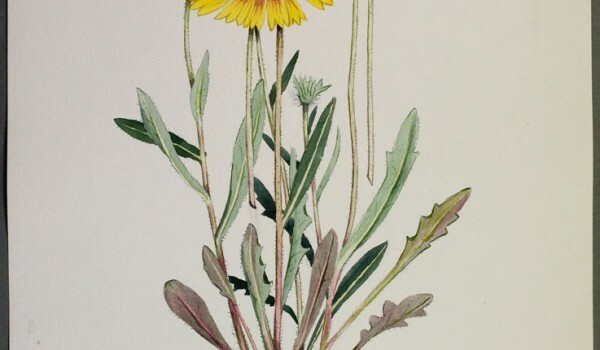 Single flower heads occur on long stalks. Each one has 60-120 purple, inner disc flowers with woolly hairs and 12-18 yellow, outer ray flowers with purple bases and 3-lobed tips. Fruits contain a single seed with a tuft of hair. Seeds and/or plants are typically available from greenhouses and seed supply companies specializing in native plants. 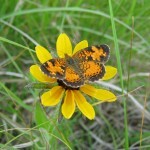 Plants are a good addition to butterfly and prairie/meadow gardens, and can be grown from seeds or by dividing plants.